you have Augmented Terraria Communtiy Forums as a project that ranked you a mechanic!! I feel that simple acknowledgement of your fine work is not nearly enough for what your extension does for me, especially with how often I use it. Everest, ppowersteef, DoctorMcDerp and 2 others like this. DoctorMcDerp and Daikonradish like this. Edit: Oh! Yeah, I'm going to use that! Supreme Overlord Shadere, Criddle, Valkyrie Valhalla and 1 other person like this. who's this 'Everest' kid anyways? They say he's the tallest mountain in the world. The creator of Augmented TCF; go give it a try someday! Looking through my imgur favorites, I'm a really big sucker for cat gifs. SkyEverTerra and Zach_ like this. Me. I use crushed kitten skulls as stepping stools to reach my extra special sink. Hey man, thanks for the making TCF Augmented. Everyone appreciates the hard work you put in that. I hope to see more from you in the future. What was the contribution you made to the TCF? How did I miss this AWESOME contribution? You how what's my favorite? It's not needing to scroll all the way to the top to view the alert! You were expecting a response from him, but instead it was me, Dio! Fool there's no world where math's easy! So, is it safe to say that you wouldn't mind being Mounted, Everest? Everest, Erienna Nakagai, Frenzy Moon and 1 other person like this. I-is that a club penguin graphic? 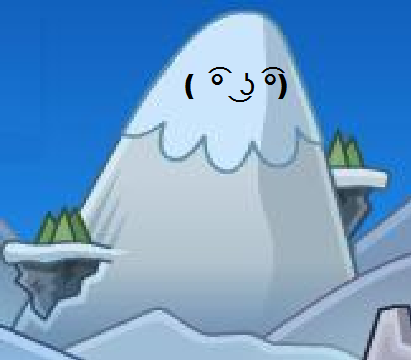 After googling it, I apparently know Club Penguin's graphic style o-o. Nevertheless my answer is I have no problem with climbers. Whew, who knew what a pain it was to setup CryptoJS to read player files. This could easily allow for offline, web-based stuff. Happy Birthday and thanks for TCF Augmented! Have a joyful birthday celebration! Thanks for making TCF Augmented, really useful! Happy birthday sir! I don't use Augmented TCF but I appreciate the work you put into it. Good morning, I'm Everest! I play games, code things, and try to be awesome. I'm also a cat person, and therefore am also a big sucker for cat gifs (hint hint post cat gifs on my profile hint hint). I'm the creator of the Augmented TCF extension, which aims to make these forums better. Feel free to drop suggestions on my profile! Sometimes I come off as sounding mean, but I don't mean it. To compensate, here's a google image search of kittens.